Turning a bookcase into a bar is simple. 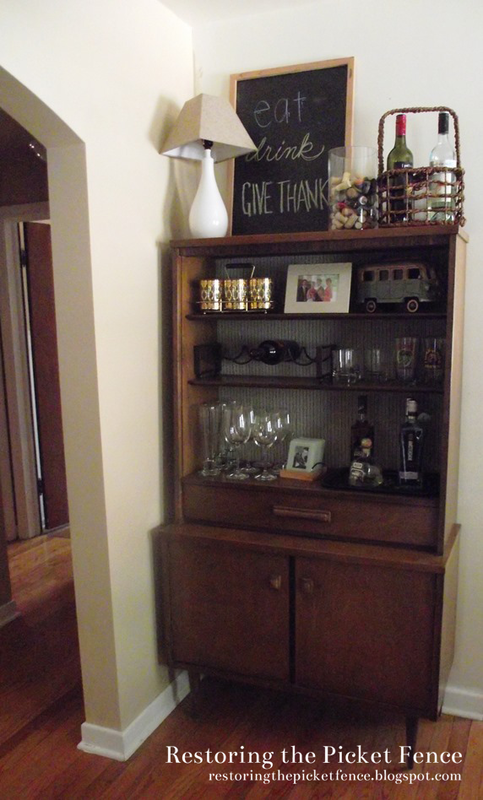 We purchased this midcentury bookcase off Craigslist for $40. 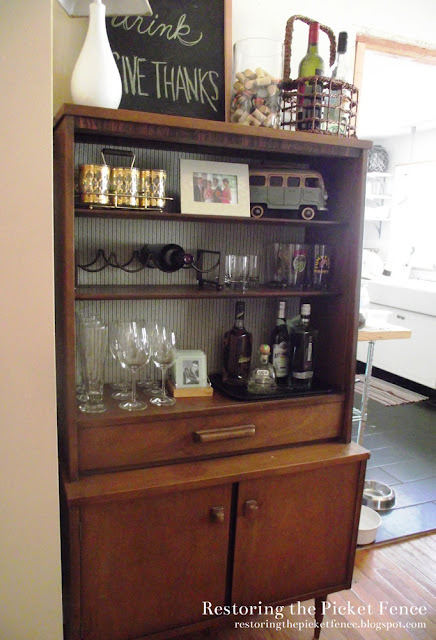 It was called a china hutch, I believe. 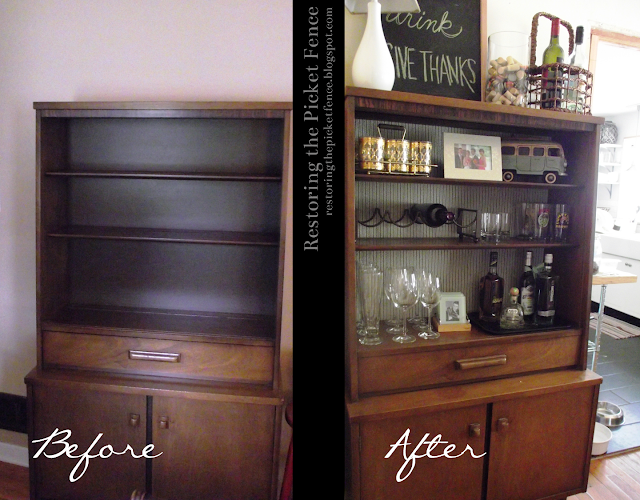 I removed the glass doors that were once it, gave it a good scrub and added a seersucker fabric that I already had to the backing. 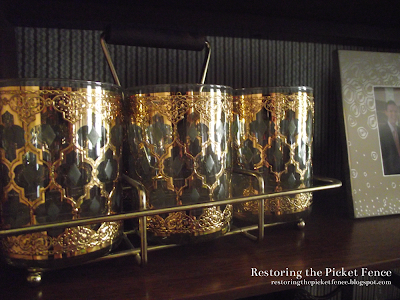 The Threshold Bronze Stackable Wine Rack was purchased from Target for $20. We are only using one of the two racks it came with. 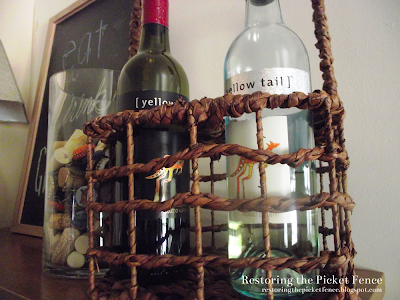 The wine bottle basket was purchased from Marshall's for $6. Bottom cabinets allow for storage of table linens while the little drawer stores bar accessories. 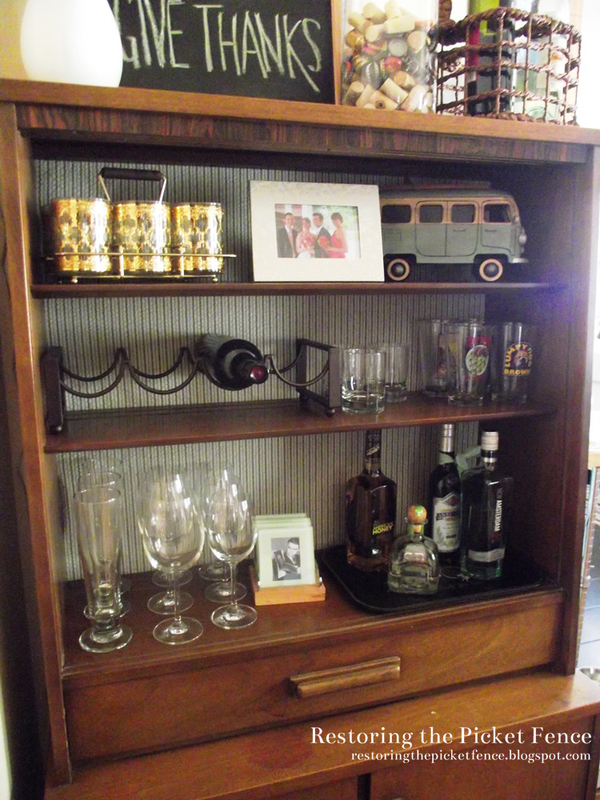 Midcentury bookcase into a bar. Wine bottle basket for $6 holds open bottles of wine. Everything you need for after-dinner drinks. 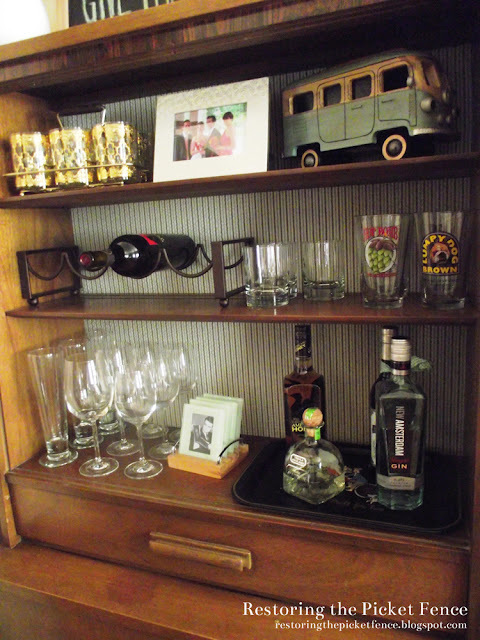 Lower cabinet stores extra glasses and table linens. My grandmother's gold rocks glasses. Now I just need to score a sweet deal on an ice bucket and we'll be all set!